This is quite relaxing really! Given that catheters were, at that point, travelling through a vein at the top of my leg to reach my heart, I think it is safe to assume that the sedative was doing its job! As I kissed my sleeping children in their beds the night before and cuddled them at the school gates that very morning, I held them longer than normal and fought back tears, because worse-case scenario, according to the risks, it could have been the last time. had never held so much meaning. On the one hand, I was facing a lifetime of ectopic heartbeats: occasionally causing dizziness, rarely causing fainting and possibly, but not certainly, over time may, or may not, cause such a burden on the heart that left ventricular dysfunction occurs. On the other hand, this procedure could cure me, or reduce the ectopic beats; provided it didn’t result in one of the risks. It was a horrid choice. But as I sat in my hospital bed and noticed the patient going in before me was a terrified girl; barely 20 years old, and remembered the few days in November when I couldn’t walk from one side of the room to another without blackouts, I felt it was a gamble I should take. I left the Consultants with one caveat: I did not want to come out worse than I went in. If it got risky: stop! Papers signed, the fashion show commenced as I dressed in their finest hospital gown and paper underwear (really, I had thought the baggy paper flatterers were the reserve of the maternity ward 😉 ) and had a cannula inserted in my arm for the all-important administration of sedative and pain relief. Sometimes you come across people who could not be more perfect for their job, and the guy who wheeled me and my bed into the theatre was the perfect example. Light-hearted, funny and warm, he did a marvellous job of trying to keep my mind off the fact that I was about to undergo a heart procedure. This was no quiet tête à tête; more of a busy, yet calm gathering: electrophysiologists, cardiac physiologists, nurses and a radiographer. Cold sticky pads were placed on my back so they could map the electrical activity, coming from my heart, onto screens and countless electrodes were placed on my front. Probably the most physically painful part of the procedure was injecting the anaesthetic and then inserting the small tube, which the fine wires (catheters) pass through, into a vein at the top of my leg. Reminiscent of child birth, I squeezed the life-force out of a nurse’s hand as the small tube was inserted into my vein. I had read that some people need a shot of adrenaline to activate their extra electrical pathways. As I expected, I did not. My nerves were so shot, my palpitations felt endless and so they mapped their location pretty fast and that’s when I realised the catheter was in my heart and I hadn’t felt its journey! As the sedative took hold, my head felt like it was swimming with a slight dizziness, and that’s when I had the vague, and wholly irrational, thought that it really wasn’t so bad. Closing my eyes, for the next hour and a half, I visualised my favourite pastime; cycling. I pictured my favourite routes and mapped them out in my head: lanes, corners, hills, buildings, farm animals, dogs… and I imagined myself sailing down those hills and passing green fields. Over and over again! As if struggling up a huge hill, I suddenly felt my heart racing; for seconds or minutes I am not sure. That’s when I realized they had started the arrhythmia electrically, via the wires positioned in my heart, so they could ablate the area of heart muscle it comes from. With my heart pounding in my chest, it was even easier to imagine racing on a bike, although conversely, also a sharp reminder of where I was and what I was having done! The next two or three ablations were different in sensation: less racing heartbeat, more intense tightness or pressure on my heart and then it was all over. Has it completely gone? We don’t know, it’s too early to tell. But hopefully it’s improved. Sometimes, when I lay down and all is quiet, I don’t recognise my own heartbeat: it’s silent, slower, unfamiliar! Some people have to go for a second procedure, only time will tell. For now, I hope it has reduced the frequency and in so doing reduced the possible burden the extra beats can place on a heart. The next morning we were (politely) kicked out of our beds at 0630 hours in readiness for the 20+ heart procedures and operations scheduled for that day! Taking breakfast with three others; three of us who had had ablations and one who had had a pacemaker fitted, weary smiles all round, we marvelled at the wonder of today’s medicine and the amazing people who had helped us. And as I tentatively walked to my transport it struck me as incredible that less than 24 hours after a heart procedure I was on my way home. If you are reading this and also considering this procedure, consider how much your arrhythmia affects your daily life and ask your consultant which risks are relevant to you. As what my google search hadn’t made clear is that risks vary depending on which part of the heart is being ablated; there are different types of ablation procedures for different heart rhythm disturbances. From my experience, of course there are far more pleasant ways to spend a day, but the procedure was quick and I am told the recovery is too. I am not on my surgical-distracting-bike yet, but I am mobile; albeit a little tired! And hopefully in the coming weeks and months, I might just find out that my arrhythmia has been reduced too! some of the disappointed voters weren’t shy to share their feelings. So why was social media awash with people deriding those who voted differently to them? 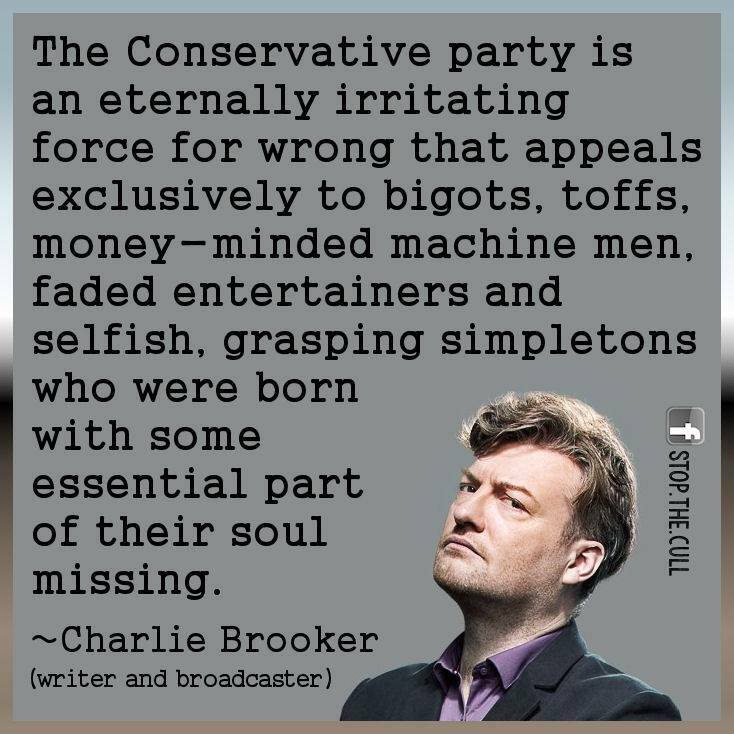 If comments on Facebook and on blogposts are anything to go by, it’s because people who vote Conservative are intolerant and selfish bigots. But given that a bigot is someone who is intolerant of those who hold opposing views, by making such accusations aren’t people displaying the very intolerance they say they detest? Some argued it’s because our electoral system, which enables a party that gets just 36.9% of the vote to form a majority Government, is not truly democratic. A sound argument, until you recall that only four years ago 67.9% of voters opted for our first-past-the-post system in the referendum. And was there such an outcry in 2005 when Labour won on 35.2% of the vote? Is it not a little ironic to argue for democracy, but then show a steadfast intolerance towards people who voted differently? Although not in the same league as selfish bigots, I saw one post denouncing the PMs wife as a tart. Assuming we aren’t talking about the sweet pastry variety, I wondered on what grounds such a comment could be founded: when I consider Samantha Cameron, and the other leader’s wives, I see supportive, patient, probably long-suffering, non-limelight-hogging, strong and composed women. Sense of humour, compassion, kindness and intelligence are just some of the attributes that bring friends together. But is it enough? Apparently some people have severed social media ties upon learning that friends don’t share the same political leanings. Who can blame them for not wanting their newsfeed clogged up with political fanfare and condemnations, but to abruptly jettison a friend from your social media accounts just because you voted differently, is that not a form of discrimination: to presume that nothing but your own view is acceptable? As a country, we promote freedom of speech and diversity, so how can defriending someone, for voting differently, resonate with our western ideology? said Rebecca Roache on blog post If you’re a conservative, I’m not your friend. Said blog post resulted in an outpouring of responses; mostly shocked that the author was treating a large number of people – one in four of the voters – with apparent contempt and in so doing inadvertently arguing against tolerance, respect and diversity. Embracing a full and free exchange of opinions in politics is something to be encouraged, but isn’t it close-minded to do so with only the intent of conversion? For me, politics, like many things, isn’t a simple case of I am right and you are wrong, or vice versa. Things aren’t always black or white; in most situations there are shades imbetween, dare I say it shades of grey that are worth considering! In the run up to the election, social media proved itself to be a hugely powerful tool for each party: an easy and instant way to share information and present worthwhile arguments or sound economic, social and environmental aspirations. So how disappointing that one of the lasting legacy’s in this election, on social media, will be the negative outpourings from some disappointed voters who refused to consider any merit or worth in other people’s opinions, and displayed intolerance by readily-insulting their intelligence and morality. Surely a more constructive way to try and change a future outcome would be to learn why eleven million voters chose the Conservative party, rather than attacking them with words? I am no philosopher or economist, but I suspect it’s safe to assume that most of us – and most politicians – want the same positive things for our country; we just differ on which are the best ways to get there. But one thing is certain: the counter-productive elements of confrontation and name-calling are best left to the playground. Fashion over practicality at its best! Compressed by the huge crowd, with a child in each hand, I can see people’s chests, armpits, and the top of my children’s heads; but very little of stage 3 of the Tour De France I have come to watch. My children are moaning – understandably – that they are hot, but they can’t escape the heat of the crowd; they want to sit down, but there’s no space on the pavement and they can’t see a thing except for people’s groins! In stark contrast, two years before in the Midi-Pyrénées, we positioned ourselves wherever we liked on the sparsely-populated street. Picnic in hand, residents offered us their chairs to sit in and we had an enviable view of the publicity caravan, the pick of the flying gizmos, as well as an up close and personal view of the peloton; with amazing photographs to boot! Same event, different country! 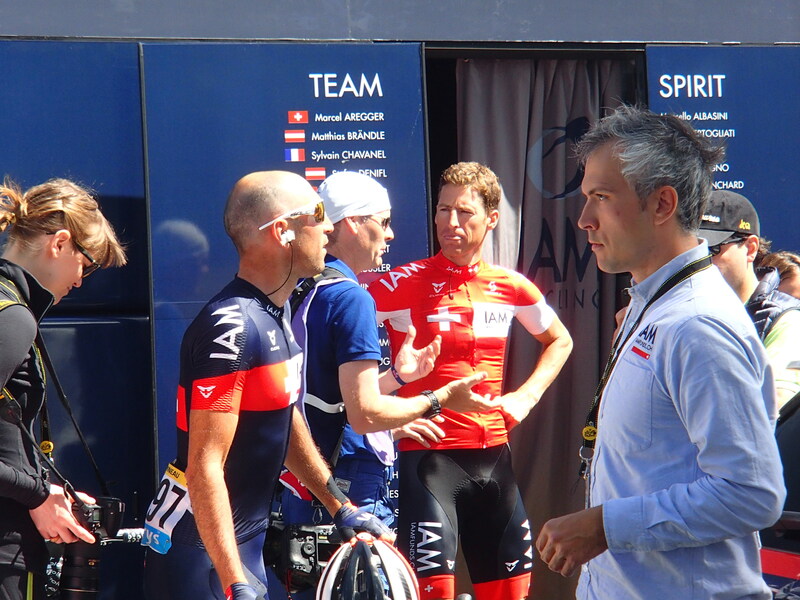 My experiences of watching the Tour de France, cycling’s biggest and most prestigious stage race in the world, in Britain and in France are vastly different! 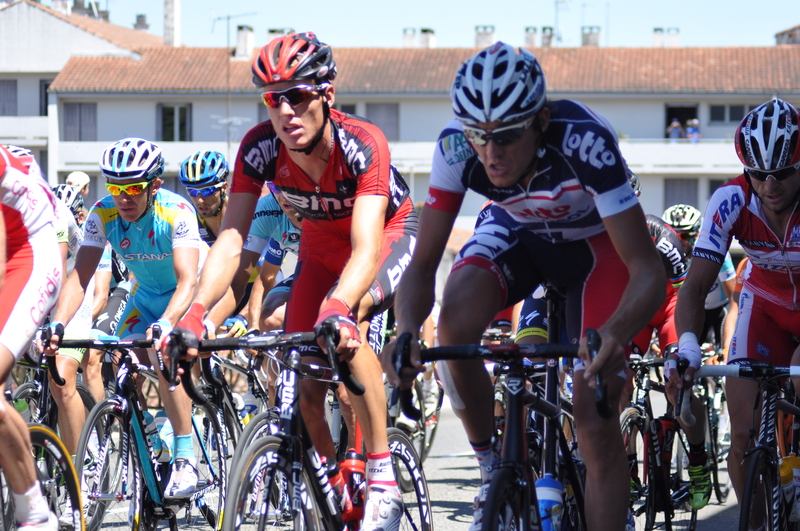 In 2012, we watched the Tour de France in the Midi-Pyrénées. Strategically-positioned towards the top of a hilly road so that we would get a longer view of the peloton, we were there early enough to soak in the sights: witnessing local French residents gradually appearing from their houses; coffee mugs, wine glasses and deckchairs in tow, this was clearly an annual and leisurely event! 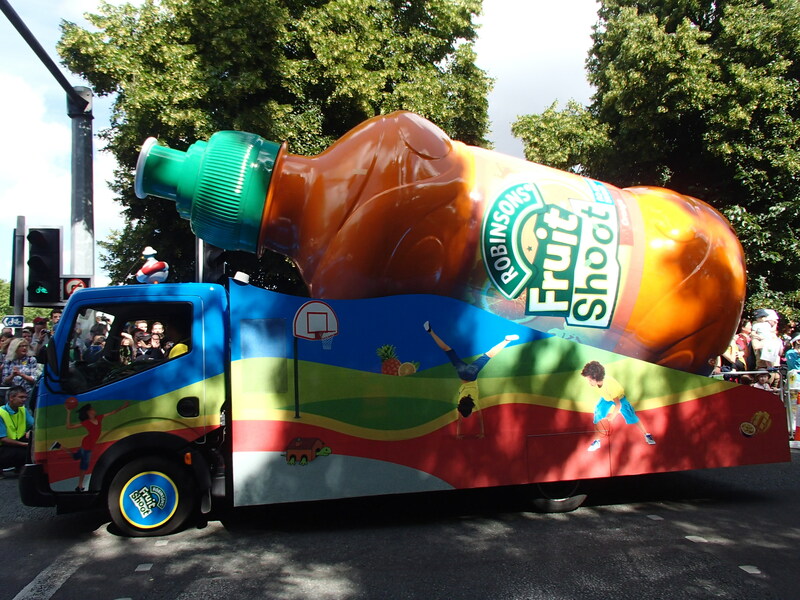 With relatively few spectators lining the road, when the publicity caravan arrived, my children were inundated with gizmos flying through the air: mini packs of sweets, mini pens, mini baguettes, mini sausages; our picnic quickly lost its allure (for the children) to more exciting treats! And such was the relaxed vibe that many gizmos falling near local residents’ feet, were brought over to our children with a welcoming smile. Fast-forward two years and we were delighted that the Tour De France was coming to Britain. We saw on television how the UK embraced the Tour’s Grand Départ in Yorkshire, with two million people turning up to watch the most-northerly stage in history! Eagerly, we took the children along to Cambridge for stage 3 and fighting our way through the crowds, it immediately became apparent that we could not expect the same carefree French experience. The crowd, in its thousands, was heaving, noisy and vibrant. The unprecedented excitement was palpable in the air, but with constant jostling from the crowd, shouting reverberating through my ears and having my nose pressed into armpits (a drawback to being short!) whichever direction I turned, it was a completely different experience to France. Impossible to not get caught up in the frantic excitement, yet with such a poor view of the actual event! Whipping the crowd into even more of a frenzy, the publicity caravan made its debut; with its blaring music and many elaborately-crafted vehicles and dancing occupiers throwing gizmos into the crowd. Watching people – mostly adults – scrambling for the sparingly-issued (for a crowd of this size) freebies flying through the air, you would think the small packets contained French Champagne, or some exquisite French chocolate samples, rather than Bic biros or Haribo sweets! Two weeks later, whilst holidaying in France, we decided we couldn’t miss the opportunity to watch stage 15 which was passing nearby. Although not as quiet as our experience in the Midi-Pyrénées in 2012, this was still a more dignified, less frantic experience than in Cambridge. Residents and holiday-makers watched the peloton, coffee in hand, from their café chairs or street-side, but pretty much everyone got a front row view if they wanted to! The only erratic behaviour I witnessed in this laid-back environment was a man irresponsibly leaning into the peloton with his camera. Seriously what was he thinking…! I feel my head bang against the stone floor; one time or repeatedly, I’m not sure. In my dream-like state I am vaguely aware of my hands, and maybe my arms, shaking. And as a strange male voice creeps into my conscience – asking if I am okay – things gradually start clicking into place. Disoriented I sit up and it slowly dawns upon me that I have just fainted and my front tooth possibly broke my fall, as it hurts like hell! They say that behind every smile lies a story and this is mine; the most difficult and deferred post I have written. For as long as I can remember I have had low blood pressure: feeling dizzy and having to lie down after a hot bath or sauna, eschewing the temptation of a bubbly hot tub and experiencing momentary blackness if I stand up suddenly. But it was okay, it was manageable. Now that certainty has been thrown into disarray as I am no longer sure my low blood pressure has always caused my dizzy spells: in the past year and a half, I discovered I have ectopic heartbeats (an irregular heart rhythm). News that was freshly and inconveniently delivered as my husband embarked on a four-month deployment overseas. I threw myself into filling the lonely months ahead with an endlessly busy diary; anything to stop wandering thoughts about a dicky ticker! I tried not to dwell [too much] on who would get the children ready for school, how I would get them to school, who would help with their homework and cook their dinners and who would look after me, if I experienced bad dizzy days whilst he was away. Four months later my husband returned and I had thankfully only experienced one dizzy – yet perfectly manageable – day. Interestingly, this was the day after he left, so in all likelihood it was caused by stress. Many hospital appointments and tests later – 24 and 48-hour heartrate monitors, two echocardiograms, countless ECGs and one hour-long MRI -and I am a patient at a specialist hospital and on the waiting list for catheter ablation. Thankfully, it can be cured; through the wonders of modern technology I can have catheters inserted to zapp away the offending electrical impulse. But should I; would you? You see on the one hand I have been assured that my heart is perfectly healthy and that I can (unless having a dizzy day) carry on as normal. I am very active: I spin, I cycle, I hoop and sometimes I even jump rope! And in one a half years I have only had two bad episodes; both flu-related. But on the other hand my recent faint was a bit of a turning point, my volte-face: when an operation suddenly didn’t seem so implausible. After four days of worsening-dizziness, I reached a stage where I couldn’t walk more than a few paces. It was debilitating and terrifying. Hopefully the faint was a one-off, I suspect caused by the flu jab, as the only other time I have had bad dizzy spells was a year before, in the days leading up to the flu. But a nagging doubt wonders if the dizzy episodes are worsening. I know that I don’t want my first thought every morning to be wondering whether it is a dizzy day or not. I don’t want to worry about re-discovering the unforgiving stone floor every time I come up from bending down to retrieve my children’s dirty laundry, or unloading the dishwasher. But, like most, the procedure is not without risks. And so behind my smile is a furrowed brow as I weigh up the pros and cons of an-almost impossible decision. I would love to hear from you. Maybe you have had catheter ablation and felt it was the best thing you ever did. Or maybe you decided to not risk tinkering with your heart and plough on without? 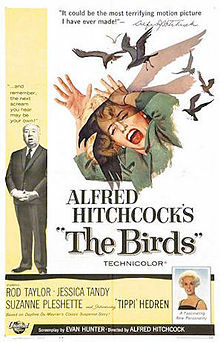 Try to picture Tippi Hedren, in this image from Hitchcock’s, The Birds, on her bicycle and you’ll get a flavour of the momentary terror I felt on todays bike ride! 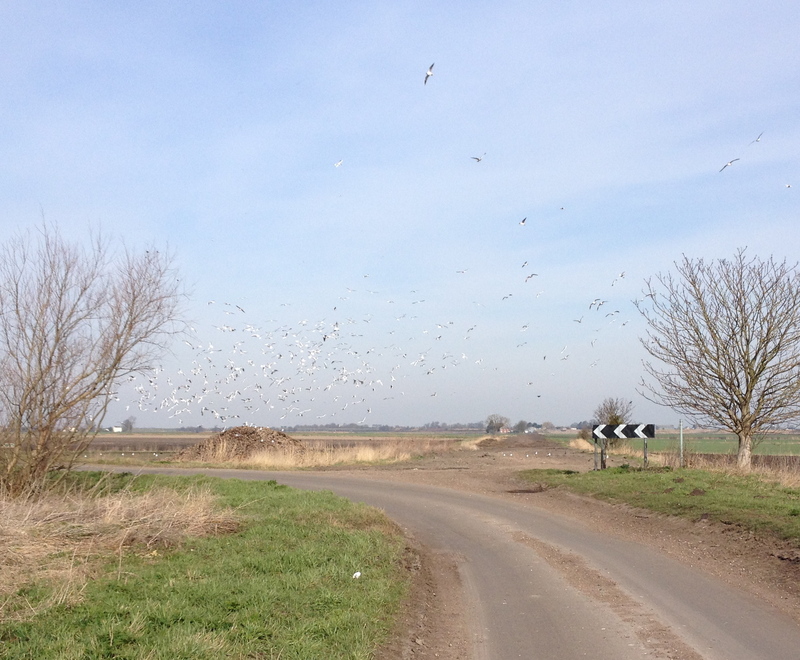 Turning a corner on my bike, I encountered what seemed like hundreds of swooping and soaring birds ahead of me. Flocking around a huge dome of freshly-dug potatoes, the birds were highly-vocal and erratic in their flying and I silently praised the protection of my helmet. Gathering my thoughts quickly, I wondered whether to ring my bell to attempt to clear my path, or try to pass unnoticed. Cowardly, or sensibly, I am undecided; I opted for the latter and although many scattered in different directions at my sudden appearance, I managed to miss any bird collisions and resumed normal breathing after a few metres! 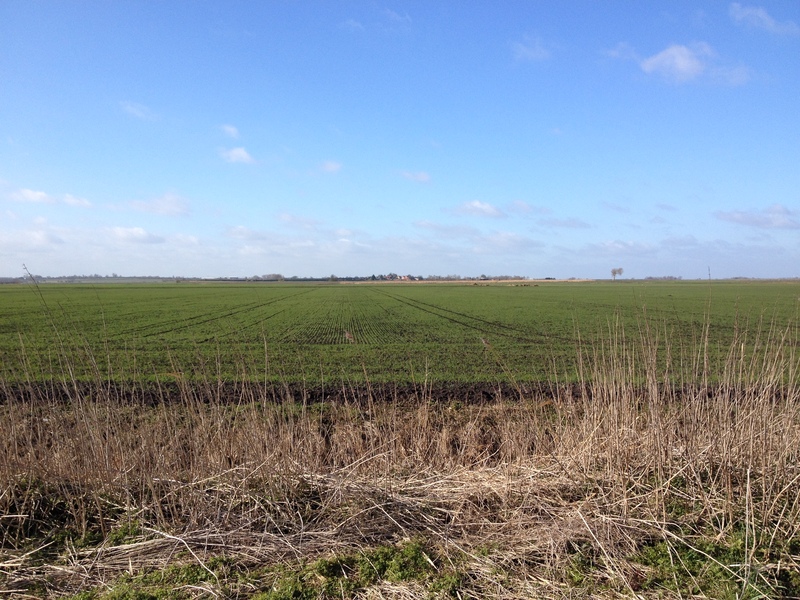 The rest of the bike ride shook off the cobwebs from a week’s work, with the promise of spring in the air: a rather pleasant 12˚c, the sun breaking through the clouds and a not-too-bad 15 mph wind!